Welcome to my website. 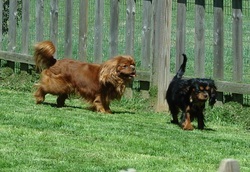 my cavaliers are part of our family, we live on a 100 acre farm in southeast ohio. 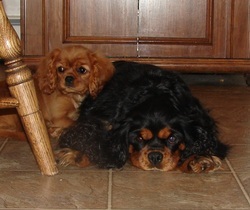 My cavaliers are not just couch potatoes, they love to go horseback riding and boating with us. 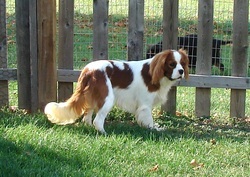 The Cavalier King Charles spaniel has a kind and gentle disposition. 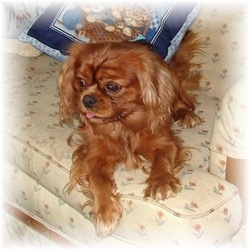 It is most comfortable in the lap and enjoys walks with its owner. Its unconditional love and dedication makes it the most perfect of all breeds. 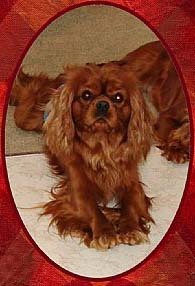 Whether you live in the country or in the city, this breed is comfortable and happy with its surrounding, as long as they are with there human companions.